2) Like this post on Facebook & comment whether you’ve been naughty or nice! 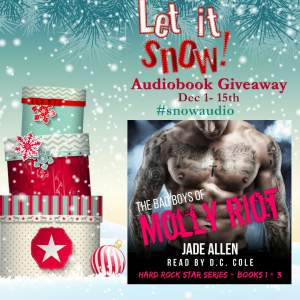 ==>You must be 18+ to enter and must have either a US and UK Audible.com account. Winners will be notified via a Facebook private message on December 16, 2016, and must respond within 2 days before another winner is selected instead. You’ll need to provide your email address to claim your prize.